I’m a little ashamed to admit that my knowledge of British history and geography is not what it should be. The blame lies solely at the feet of whoever decided that the National Curriculum for these subjects should be taught in the most boring and non-relevant way possible. So it is definitely not my fault that I had no idea where Hever Castle was or why there was a castle. Maybe it was a trick like Leeds Castle not being in Leeds and Hever Castle is not actually a castle but in fact a cunning ruse to ensnare tourists for the amusement of Kent locals. Either way, I was going to find out as I headed South East from London on a beautiful Sunday morning in September to complete (definitely not compete) in the last of the Castle Triathlon series. It was such a sunny day that I missed the turn off for the Dartford Crossing and ended up heading towards Southend. This was not my first wrong turn but my second rewarded me with sweeping views of the North Downs as my rented sat nav told me to turn around. The rest of the journey to the car park was down a labyrinth of country lanes, a blocked road and then queueing traffic as thousands of people tried to get in to the grounds. By this time I had about half an hour until my start time but surprisingly, I was super relaxed. If I missed my start then I could always go with another wave but as I tried to remain zen in my little Peugeot, others were haring past with their bikes and bags, fearful for their spot in transition and on the start line. One guy even ran past with his wetsuit stuffed into (presumably) his wife’s handbag!? The best thing about running is that you don’t really need anything apart from clothes and trainers – triathlon requires a lot more organisation which isn’t really my forte. I tried to set my gear up in a tidy, compartmentalised pile while getting more and more scared at the uber-serious athletes around me who were comparing nutrition racks and ring sizes (bikes)! This was before the prolonged and embarrassing fight to get my wetsuit over my various clammy limbs – I was being psyched out by my own sports-tech inferiority complex. 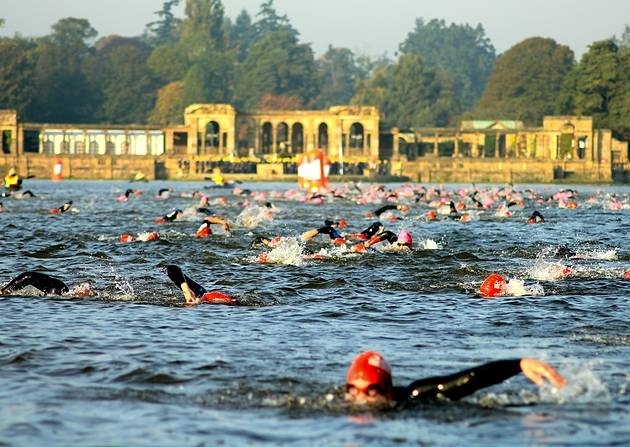 The swim was my weakest part going into the event and despite the ornate and crisp surroundings, I was worried as to how badly the next 1500 metres might go. Some of my fellow swimmers had decided to adopt a freestyle-then-breaststroke strategy without informing me first so I ended up smacking into a number of them as they breaststroked and I overtook them before being smacked into as they resumed the freestyle and overtook me. The other problem was that the water was really cold. Like eating a McFlurry or slush puppy too quickly and getting a brain freeze cold. Everytime I put my head under the water, a smack of cold, murky moat-water slopped against my forehead and into my ears and nose. I was 100 metres into 1500m. All of that being said, the swim route was lovely (for the parts I was able to look up). Apart from smacking my leg into a rock nearly half-way round the course as I veered too close to the riverbank, I kept up a very slow and constant pace which saw me last in my wave for nearly the entire course. With 200m to go, I realised that I had the chance to overtake a couple of stragglers and like a wolf picking of lame deer, I pounced. Except that what really happened was that I engaged into a slow motion battle for not-last comprising slow-flying elbows and vicious misplaced submarine kicks. The watermarked proofs of overly expensive event photos show that I came out ahead of at least one person so I was happy. Just run from the water they said. Get on your bike they said. The combination of cold water and, well…physical activity, meant that I came out of the water dizzy and struggling to run/walk in a straight line. The reality of watching the Brownlees glide along blue carpets to their bikes was replaced by my stumbling and searching of the thousands of bikes before sitting down and trying to peel off my wetsuit. In this case, lube is your friend. But it still didn’t stop me from taking an age to put on my socks and shoes, like a reluctant schoolboy, before getting up and trotting wobbily to the bike stage. Once the worry of falling off my bike and into the “crowds” near transition had subsided, the cycle was pretty uneventful. It really was, I have no idea whether it was tough or not. I was overtaken by an army of boys and girls with bikes worth more than small African countries but also overtook some others when I channelled my inner Chris Boardman and went all “aero”. 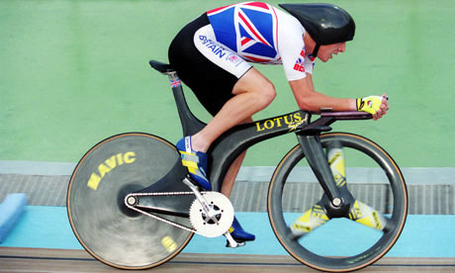 The only other thing I really remember from the cycle was the sound of disc wheels approaching and inevitably overtaking me. It was like a dementor was lurking behind me getting louder and louder before screaming past as I looked on in a mix of jealousy, annoyance and contempt. This transition had none of the faff of the first and I traded wet bike shoes for wet running shoes as quickly as I could. Running was the part of the triathlon I was confident I could at least complete and if possible, maybe even gain a place or two. The mythical brick failed to materialise and I was able to continue running at a pretty good pace around easily the most picturesque 10 kilometres I have run. Cramp was a constant threat as I went up and down the forested hills in outside of the manicured castle grounds but luckily it had more bark than bite and I was able to complete the course in just over 47 minutes. 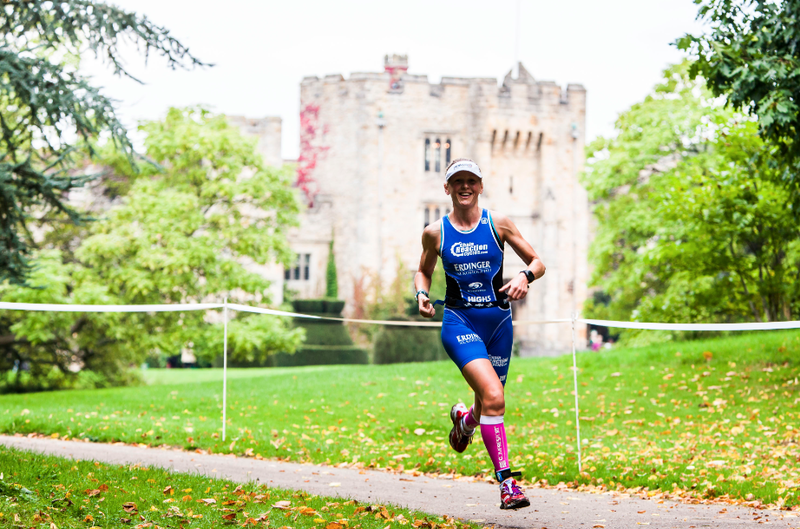 Finishing events is my favourite part – it makes a lot of sense to be happy when a challenge is over. And I was massively pleased to complete my first ever triathlon – I didn’t even look at the time until I’d got home – so happy that I’d simply completed it. I even pulled my obligatory gurning exultant finish line pose which shows how pleased I was. But I had driven to Hever Castle on my own and now faced the lonely task of packing up my gear and heading back to the car and home alone. It was my own fault (booking an event when everyone is away) but there is something about having friends, family and loved ones at a race that legitimises it. Like the difference between going to a cinema on your own or with others and how it adds to the experience. As I drove out of the carpark, I was reminded how good a job volunteers do at these events as I was directed through the mud and mire and away with the smallest of fuss and the utmost professionalism. Like a classic school essay, here is my conclusion. The venue, course and volunteers were brilliant. The organisation was spot on and I honestly don’t think I could’ve picked a better first triathlon if I’d tried. Even the problems with the carparking (rain in Autumn who would’ve thought!) and traffic (2500 competitors), everything was done to try and make the best experience possible for the athletes. I will be on the start line again next year and eager to swim better, bike quicker and run faster. I was just having a quick scroll through the #writeandrun FB group to see if it was still operational, just in case I can get myself motivated to do something in December and spotted the link to this post. 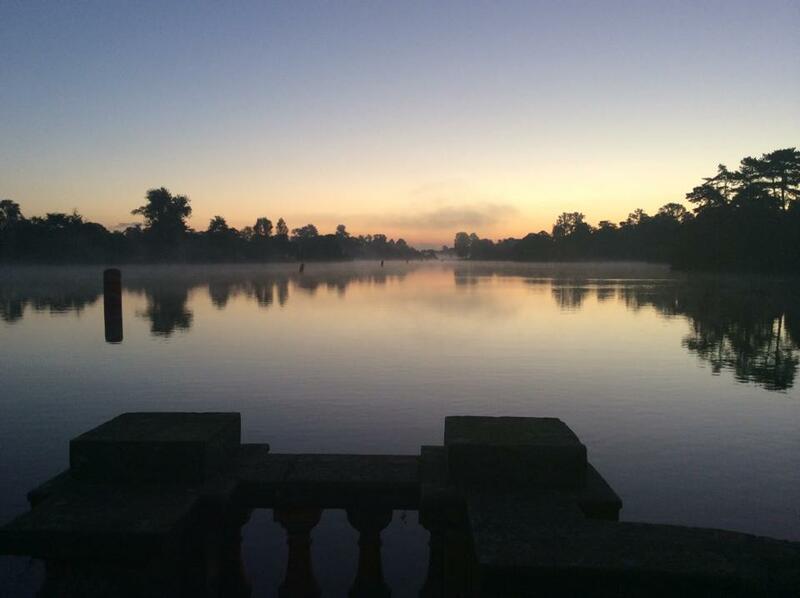 How fantastic that you did your first triathlon at Hever. It was where Anne Boleyn grew up, I think, but don’t quote me on that. 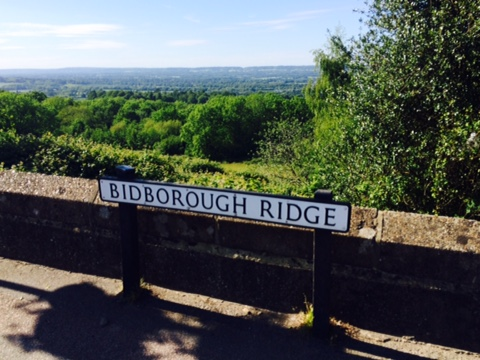 My husband grew up just around the corner from Bidborough Ridge, and you’re right, the view across the river valley is incredible. Congratulations on your first triathlon. Love your write-up, and that photo of the swimmers is absolutely surreal! You are correct about Anne Boleyn! It’s a lovely area and an amazing venue. Thank you for your kind words!